Coimbatore : KMCH Chairman Dr Nalla G. Palaniswami today underlined the need for doctors and institutions to engage in healthcare research that promotes well being of the local population instead of relying on data from Western countries. 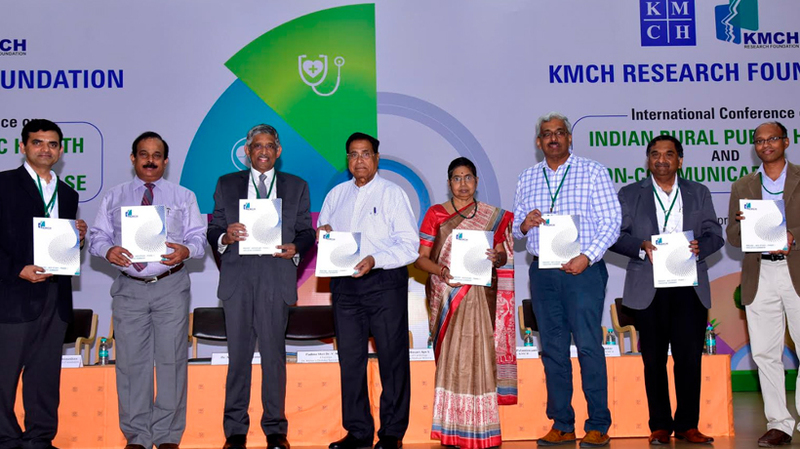 Addressing a conference on Rural Health and Non Communicable diseases organised at the hospital, Palaniswamy elaborated on the findings of KMCH Research foundation that highlighted a huge burden of diabetes and hypertension in rural, semi-urban and urban areas of Coimbatore and Erode districts. Diabetes was present in around 1 in 6 adults in rural areas and 1 in 4 from urban areas of Coimbatore. Pre-diabetes was present in nearly 30-40 per cent of the population, indicating a worrying trend that highlighted the urgent need to educate the public on the need for healthy diet, lifestyle and regular medical checks. Faculties also highlighted the burden of non-communicable diseases in India and the need to have Indian solutions to prevent the burden of disease for the common man in India. The conference was attended by around 350 delegates including doctors, researchers scientists interested in healthcare research. Faculties included Dr Soumya Swaminathan from World Health Organisation (televised address from Geneva), Professor V. Mohan, Dr Thomas Alexander, Director STEMI India, Dr Ajit Mullasari from Madras Medical Mission, Dr Arulraj and Dr Krishnan Swaminathan from KMCH, Dr Velmurugan from IIT Madras and Dr Srinivasan from Medgenome.